Our robust after-school program, BEST, includes academics, arts and athletics activities available daily. 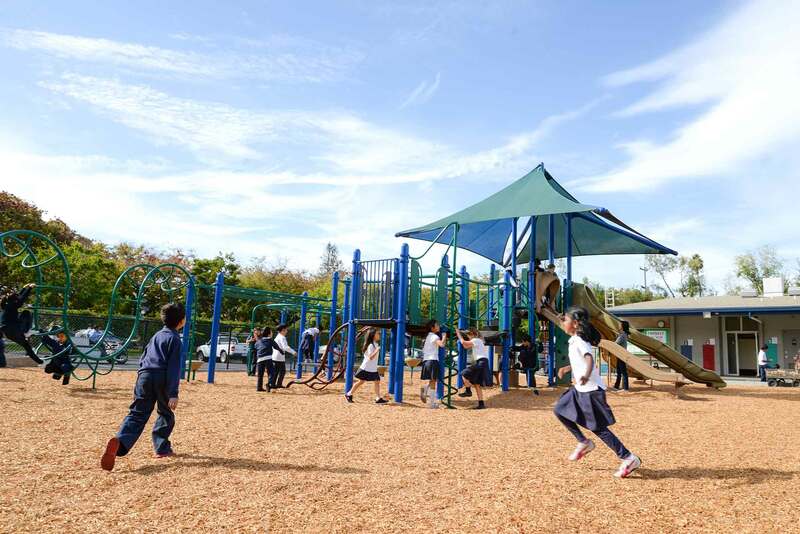 Harker’s lower school campus truly is your child’s neighborhood away from home. The benefit of our after-school options is that your child can enjoy a wide range of activities without ever leaving the Harker campus. Before the school day starts and after it ends, our BEST after-school program (Bucknall Enrichment and Supervision Team) offers supervision and drop-in activities, learning workshops and specialty classes for students to discover and develop their passions. With most of our BEST offerings included in tuition, it’s a great opportunity for learning beyond the classroom. BEST is the perfect opportunity for your child to try something new, stay engaged after school and create new friendships. With a variety of after-school programs, your child will find something that sparks his or her interest, such as performing and visual arts, physical fitness, sports and playground play, chess, creative cooking, movie making, academic clubs, library and study hall.